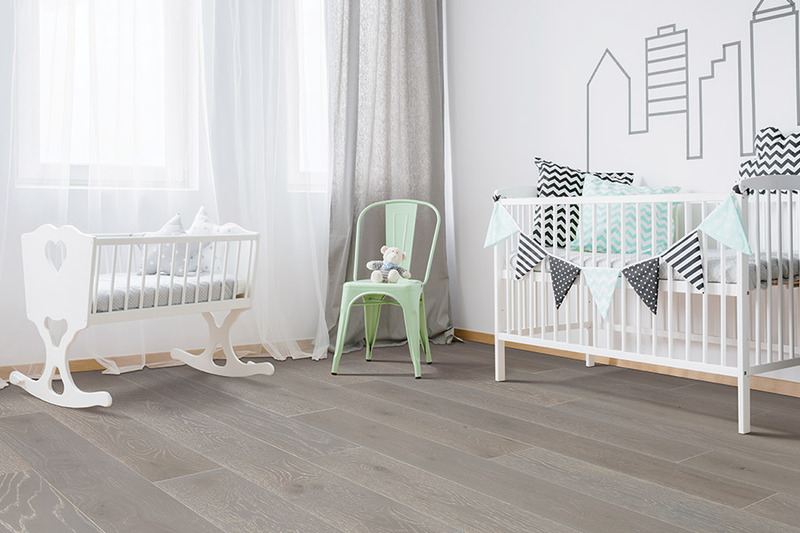 Hardwood floor selection must go with the overall interior design palette. One of the easiest ways to begin is to pick one of your big architectural features of the home. It may be the stone of a fireplace, or the color of your kitchen cabinets. Use that element to find a color that complements the décor. One of the subtle things you can do in choosing the color of hardwood is to change the finish used on the top of the wood. An oil-based finish lends a golden amber tone to white oak hardwood. It is used in traditional architectural styles. A water-based finish will maintain the color tint of the wood. That finish is used in organic, natural styles of interior design. Another thing to consider when choosing the color of hardwood is color variation versus color consistency. Hickory naturally has color variation. An oil-based finish allows the variation to be part of the design. A stain will minimize the variation and create a more monochromatic look to the design. Stained hardwood is more appropriate for traditional décor, while the hardwood, displaying variation, is more suitable for modern, contemporary styles. Yet another thing to consider is that there are no limits to the hardwood color choices with the use of stain. 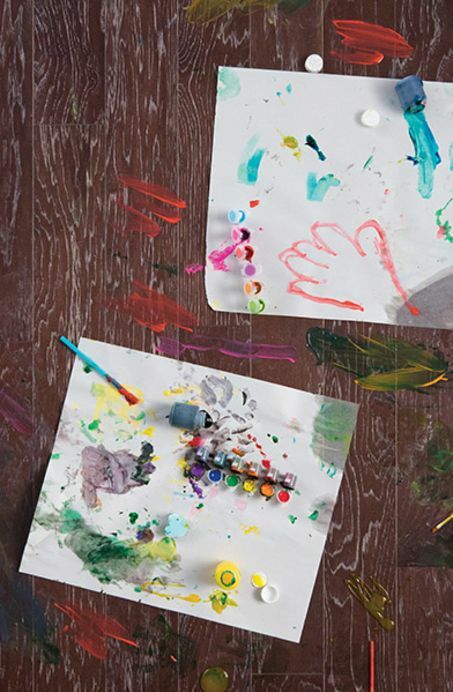 Stains can make hardwood dark, light, and any color in-between. 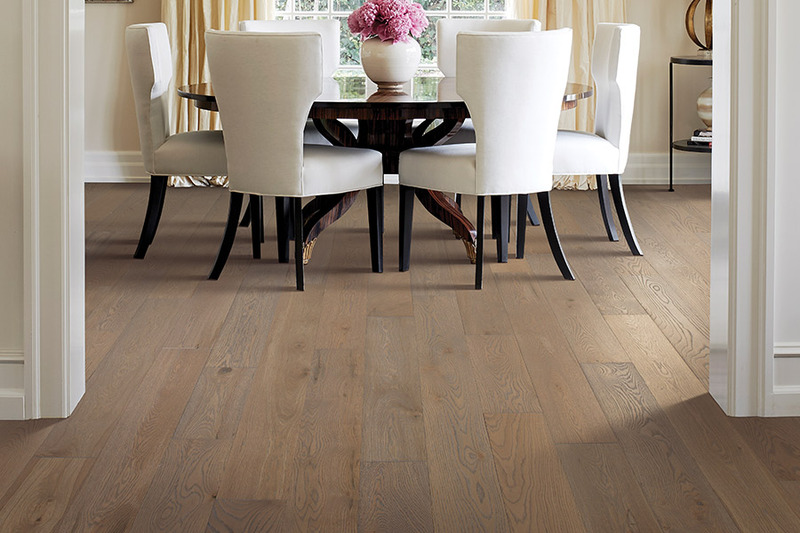 Stained hardwood that is lighter is best employed in small areas where you want to create a lighter, airy feel. The ambiance is a beach-like or organic design. 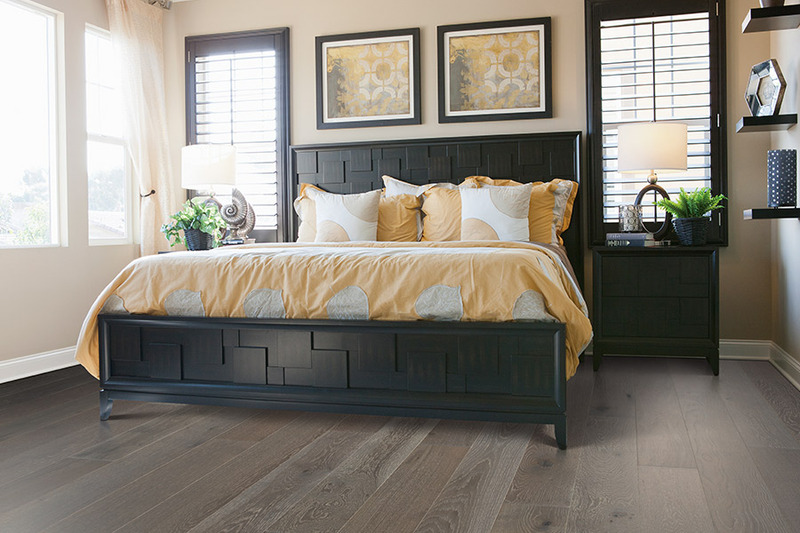 Darker colored hardwood works best in rooms with lots of natural light in the room and is typically seen in more traditional styles of architecture. Between finishes and stains, there is an endless number of combinations that you can design. Our selection of hardwood is enough to impress anyone. 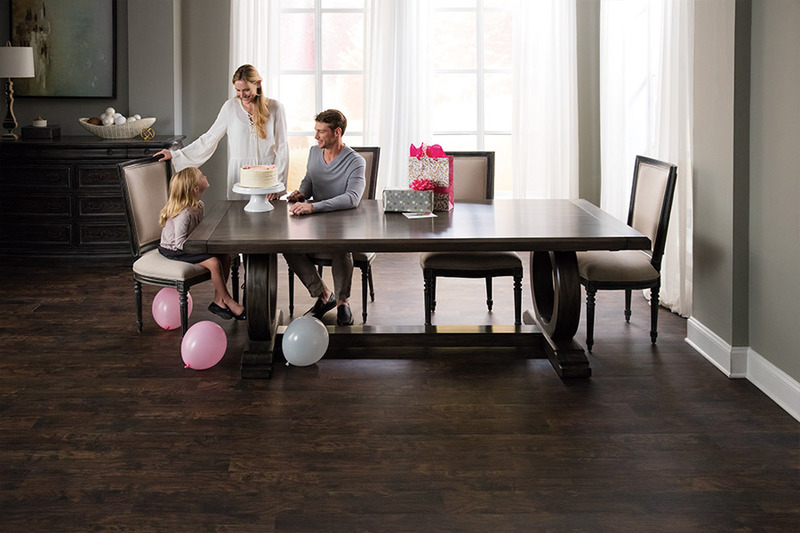 At Richie Ballance Flooring & Tile, we have hardwood in everything from dramatic texture to silky smooth surfaces. 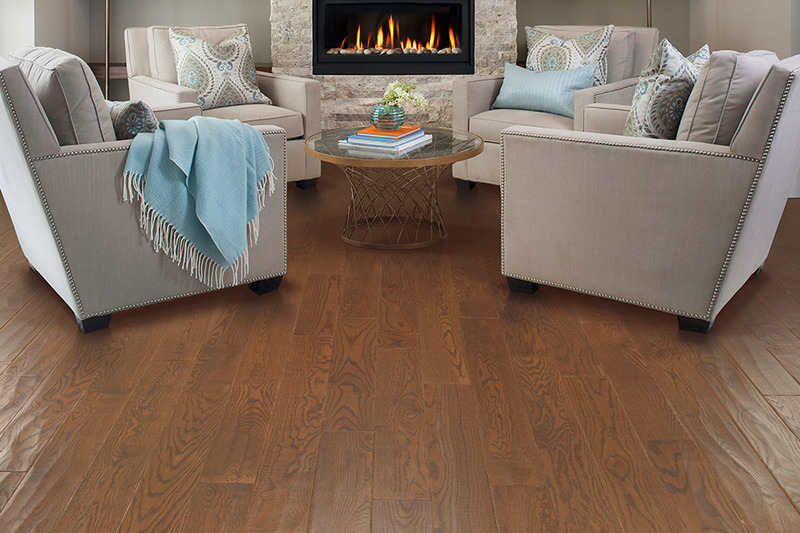 You will be able to find hardwood that reflects your design personality. Our state-of-the-art showroom, located in Wilson, NC, exhibits all the latest colors and styles of hardwood. We can help you make the fashion statement you wish to attain. We have helped clients from Greenville, Elm City, Kinley, Lucama, Bailey, and Wilson explore hardwood options.